I haven't posted on my blog since May, so I wanted to give all of you an update on where I am. Once my volunteer contract was up in June and I said a tearful goodbye to all my students, neighbors, teachers, and friends-- and after narrowly making it to the main island in time to pick up my dad from the airport in Pago, since he came to visit-- my adventures in the Pacific concluded with a mini-vacation. After island hopping from American Samoa to Independent Samoa and New Zealand, I found myself back on Minnesota soil on July 7th. 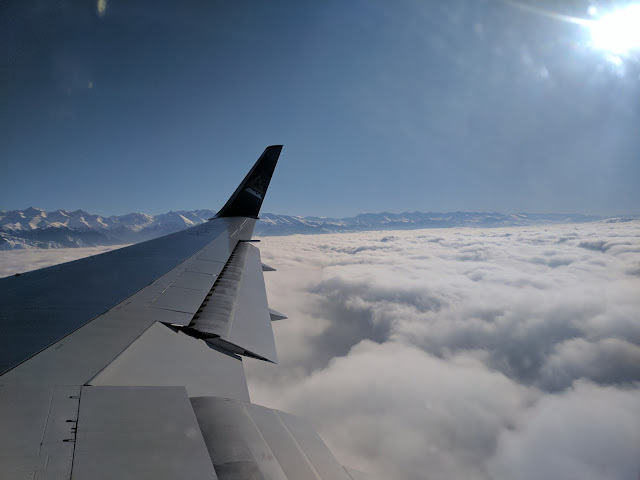 I would go into how amazingly wonderful New Zealand and Samoa were, but I think I'll just put up some captioned pictures in a separate post because the beauty of the islands is hard to put into words. Back in the mainland of the US of A, time flew by. The four and a half weeks I had to spend back home before flying to Russia were a happy blur of friends, family, delicious food, refreshing beer, and lots of catching up. But, time never stands still and soon it was time for me to leave again. Destination: Georgievsk, Russia. A visit to Russia must include a stop in my birthplace of Georgievsk to visit my grandparents. After my last visit in 2012, I hadn't visited since. Three years is a long time to be away from loved ones, so the time I spent together with my grandparents was infinitely more precious. I spent only short two weeks, but in that time I managed to gain a kilogram. This is all thanks to grandma's cooking and insistence that I eat more and more and more. A typical day including sleeping until 11 am, waking up and eating a delicious meal, taking a nap, waking up and eating some more, then just hanging out on the couch/playing with kittens/chilling with grandma or grandpa, then eating again, and then relaxing (ie browsing social media) before heading off to bed again. 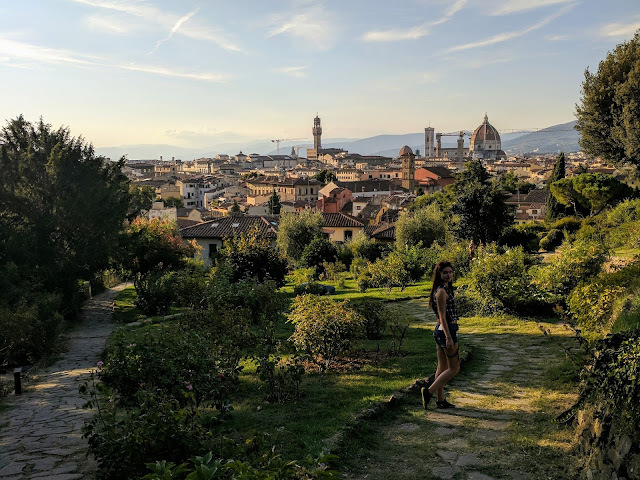 It was bliss, especially because I knew I wouldn't have many more weeks like that once school starts and I find myself in the hustle and bustle of city life. Which brings me back to my current location: Moscow, Russia. So far, I love it here. After meeting up with my cousin at the airport, we took a taxi to my dorm, which is just one metro station away from Moscow's center ring, and two stations away from my university. This is a really big deal because it's pretty common for people to have to commute one to two hours between work/school and home. For me, it takes about 30 minutes. And by the way, I am in love with the metro. It's perfect for people like me, who despise traffic. The metro trains, unlike your average Russian, are never late, and can quickly get you from one end to the other end of Moscow. The metro does get crowded during rush hour, but considering the fact that 8 million people use the metro each day, the metro's efficiency is extremely impressive. Imagine, 8 million fewer people needing to use cars and other above-ground transit. But, back to my arrival in Moscow. Once we arrived at my dorm, there was a big line of students waiting to get through the inevitable and slow bureaucratic hurdle of submitting documents/making passport copies/signing dorm rule agreements. Since I didn't have a particular document that students usually need to gain access to the dorms (because I am an international student here), I went up to one of the ladies and inquired about it. They quickly directed me to the director's office, who told me that he would take care of everything, and took me through the whole document submission process himself. This meant I was able to skip the two hour line of people and was personally escorted up to my room. My classes started September 1st, and those have been pretty enjoyable as well. They're all in the evening from 6 to 9 pm, so this opens up the possibility of getting a job during the day. A number of my classmates, in fact, work "real people" jobs as well as study. I've had lectures by professors from Germany, Turkey, and Austria, but no Russian professors yet, ironically. They do exist in our department, however, so I am know I will be hearing lectures from Russian professors to, but this does go to show the effort our program and department has put in to make sure students get a more international experience in our master's program. HSE, the university I attend, is known to be very progressive and hiring international faculty is yet another step in their goal to become well-known not just in Russia, but in the world. My classmates are cool people. Many of them have graduated from prestigious Russian universities, and a number work in well-known companies. The backgrounds of my classmates is diverse, too. Some received degrees in business-related fields, some in engineering, others in biology, computer science, journalism, etc. They are a pretty friendly bunch. It looks like it's becoming a Friday night tradition to go out for drinks after our evening class, and I can't say that I don't enjoy a nice beer and some intelligent conversation outside the class. The group chat that someone put together is constantly being used for class-related and random discussions, and we even went to a museum with a small group of classmates last week, just for fun. It's important to build up networking and personal relations with the people who I will be seeing almost daily for the next 2 years, and so far it's been a fun experience (even though there are notable cultural differences that can be challenging to ignore, and I will discuss in a separate post). 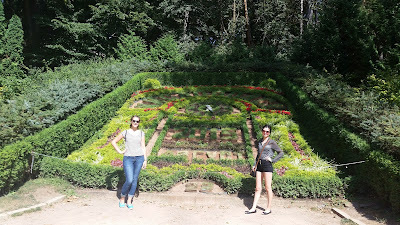 Me and a friend in the town of Kislovodsk, Northern Caucases, Russia.